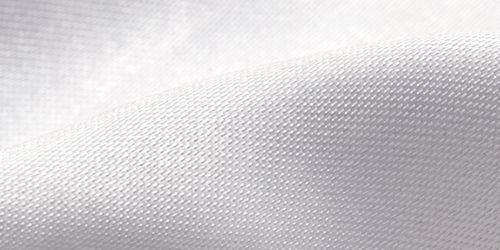 Lucent Satin Fabric is a gorgeous, lightweight, shimmering double-faced sateen fabric. Made of a satin weave, constructed of woven poly-based straight set filament fibers. This shiny, substantially opaque material is a high luster fabric which is very light and airy, weighing only 3.5oz. Our Lucent Satin is delightfully feminine and beautiful to work with. The custom Satin fabric has a wonderful sheen and shimmery face and gives a burst of light every time it moves. 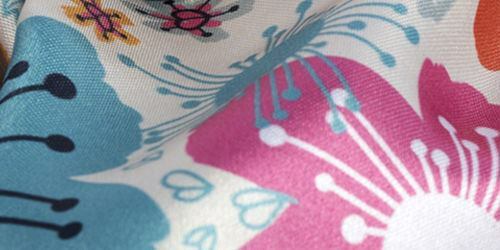 A truly eye-catching fabric, made even more so with your design on satin printed for you. The long floats used during the weaving process, produces a surface that is smooth to the touch and reduces light scattering, to increase shine. The fabric has a very tight mesh-like quality, created by the closed type of weave. This makes the fabric taut not elasticated. The back face of the fabric is matt in comparison to the soft shimmery front. It has smooth graceful feel when worn, slipping over easily, creating a soft and subtle drape. 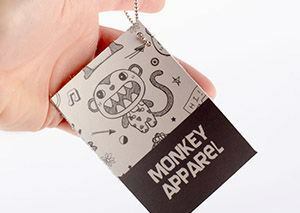 As the fabric is very thin, you can see the detail of the print perfectly when held up to the light. 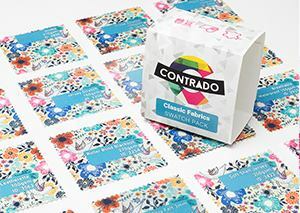 When printing Lucent Satin fabric, you know that you are going to get very clear fine lines, with the detail pristine and accurate with a bright contrast between the white base tone of the satin and your bold colors. This satin weave produces smooth and soft fabrics, which is the perfect platform for everyday wear. 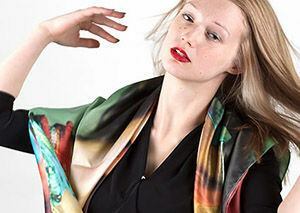 For example its silky qualities make it perfect for bag linings, clothing and scarves. It is often used for the likes of bed sheets, lingerie and nightgowns and is one of the most suitable fabrics for coat linings, due to its smooth surface allowing coats to be slipped on and off very easily. Best Purchase EVER! The quality of the images and the fabric was outstanding. I received them in perfect condition within 3 days of ordering them. I honestly couldn't believe how fast the service was and how perfectly the images came out on the fabric. Nice print, fast shipping Very nice prints on felt material. I couldn't believe how quickly the order was shipped! What are the differences between the Lucent and your other satin fabrics? All of these fabrics are part of the satin family, constructed of satin weaves, with a shimmery exterior. However, the polyester Lucent is much shinier. The weights are only slightly different, with the Lucent weighing the least at 3.5oz and Monroe weighing the most at 4.7oz. The Lucent is very fluid whereas the Monroe is slightly stiffer. Is this satin a good material for clothes? 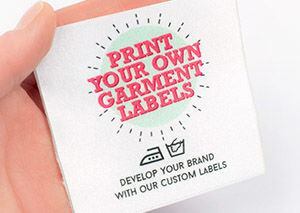 The custom printed Lucent Satin fabric is perfect for making all kinds of clothing. It has a gorgeous feel with a soft back so it is very comfortable to wear. This satin fabric is often used for evening wear because of its glossy finish and fluid drape, which creates a very elegant look. Do stains come out easily of the fabric? Despite its fragile, lustrous appearance, it is a hardy material which makes it easy to wash at 86 degrees F and a medium tumble dry to finish. 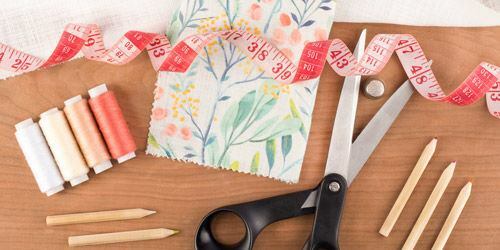 It is always a good idea to get to a stain early, so take care of your delicate material and just make sure you follow the care Instructions above.